San Bernardino, CA - Police say two suspects, one male and one female, are dead after the shooting at a Southern California social services center. 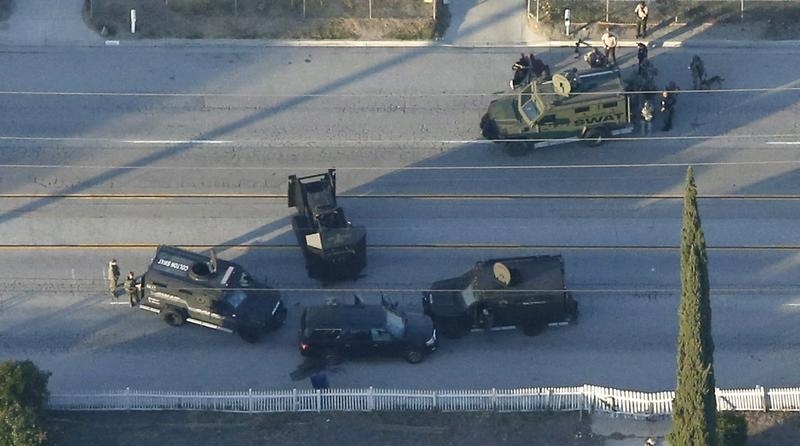 Police also say a person was detained who was seen running near a gunbattle between officers and two suspects of a deadly shooting at a Southern California social services center. 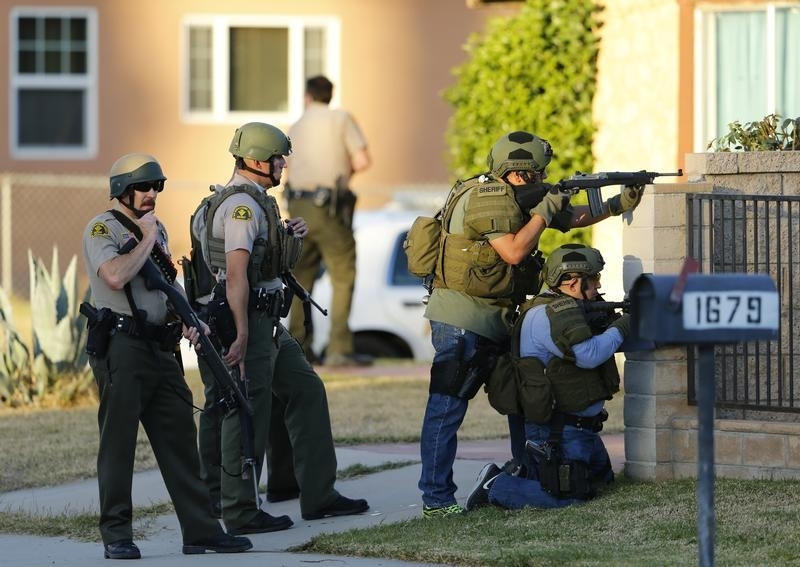 Burguan said that it was not clear if that person is connected to shooting that killed at least 14 people at the Inland Regional Center. Government is now planning the cover up. You will hear, it may have been terrorism, still investigating, lone wolf attack, we're not sure & then on to the next piece of news. I didn't think they would be Muslims - but then three white kids usually don't massacre people, they are normally lone idiots. Muslim terrorists would fit much better. I heard that they became American citizens.